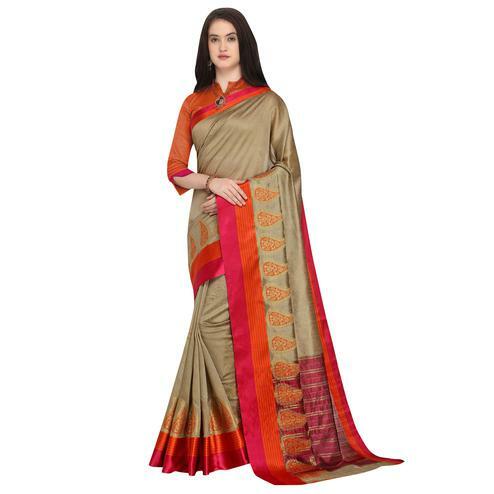 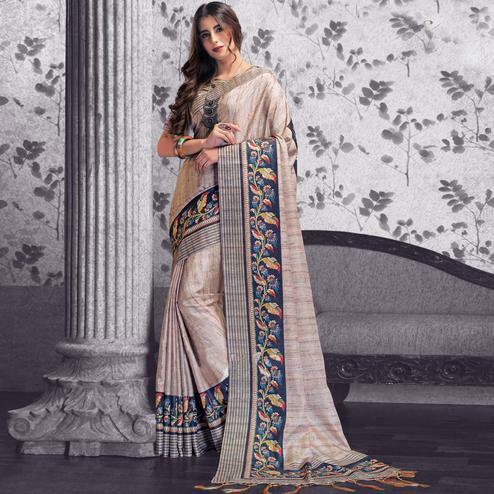 This multi color saree designed using georgette fabric has been enriched with zari, thread floral kali embroidery work in decorative patterns at entire border with multicolored print strips. 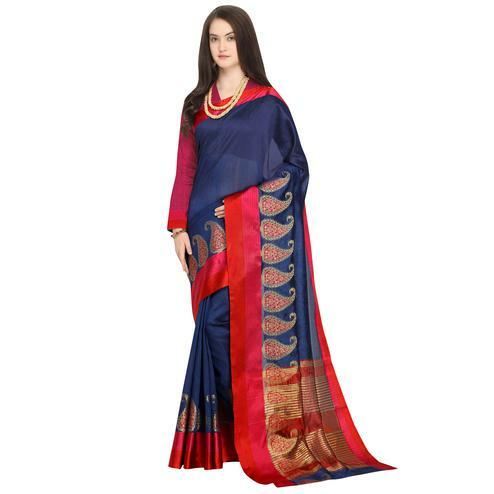 Available with matching fabric blouse piece in unstitched type. 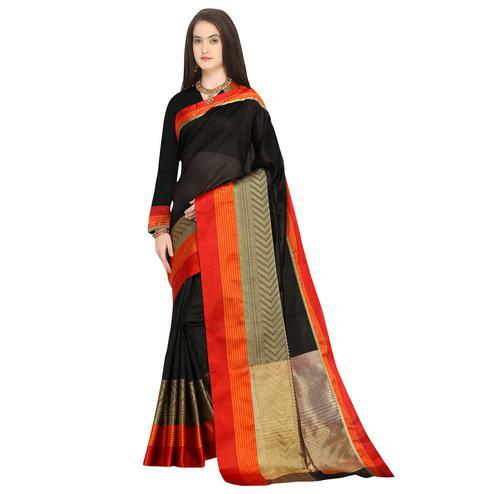 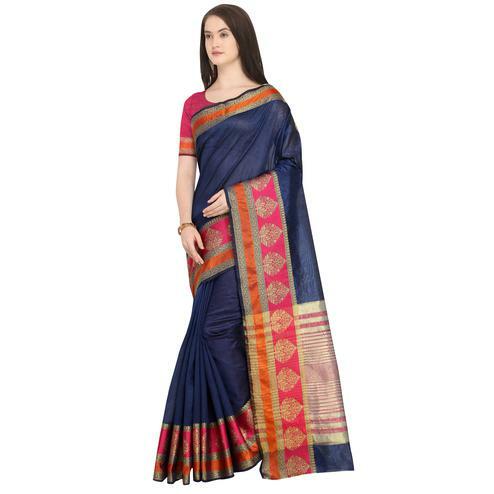 It's a perfect saree to opt for parties, functions and occasions. 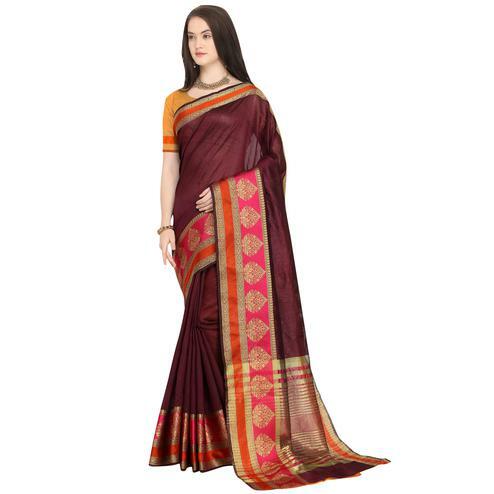 Team it with traditional ethnic accessories to look more attractive.